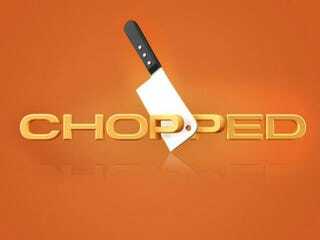 Chef Anthony Paris, a winner of the Food Network's reality contest "Chopped," is being sued by a former cook for firing him while he was on Family Medical Leave after the stroke (and subsequent death) of his spouse of 17 years. You're probably thinking "there's two sides to this story" and that you don't have all the details, but the story actually gets infinitely uglier when you find out more about it. Chef Robert Esselborn (a former Army instructor for 20 years, it's worth noting) requested and received time off on December 15, 2013, after his wife Barbara suffered a stroke. A human resources director apparently approved his leave — which makes sense, considering that Federal law stipulates that workers be given up to 12 weeks of unpaid leave to care for sick family. Again, we're talking about unpaid leave here; Esselborn quite understandably wanted some time to care for his wife in her final days/take care of his children and family in the wake of a horrendous personal tragedy. What kind of a monster would a boss have to be to begrudge him that time? The same kind as Anthony Paris, apparently. On December 19, 2013, four days after requesting (and again, BEING GIVEN) time off, Paris e-mailed Esselborn "demanding" a date when he could return to work. Esselborn responded that he'd re-assess the situation on January 1, because, y'know, his beloved wife was on her deathbed. Paris fired him immediately, telling him the wait for his return was "too long" and to come clean out his things. Barbara Esselborn died the next day. No jokes here. Anthony Paris is just a horrendously, almost-incomprehensibly awful human being. Whatever the lawsuit asks for in damages, here's hoping Esselborn gets double that.